This, the third book by Murray McLachlan’s for Faber Music on piano technique, takes a more leftfield approach to piano playing and piano technique, tackling esoteric, psychological and philosophical issues such as visualisation techniques, inspiration, musicians’ health and well-being (including dealing with performance anxiety), career development, and encouraging independent learning and interpretative decision-making. 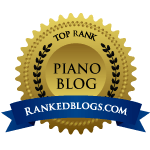 This non-traditional approach is underpinned by the premise that we should love the piano and its literature, and always seek joy and creativity in our practising and learning. If this sounds like a New Age self-help book for pianists, be assured it is not: McLachlan, an internationally-renowned pianist and teacher, writes with intelligence and authority based on his own experience as a performer and teacher and many years spent in the industry, and his approach is pragmatic and practical, offering wisdom for pianists, whether professional or amateur, students and teachers. I particularly liked the chapters on finding flow in practising, visualisation techniques (something I use in my own teaching and playing), avoiding dogmatism (in teaching and interpretation) and stepping beyond urtext editions to find one’s personal voice at the piano. The book does not need to be read straight through and indeed I have enjoyed dipping in and out of random chapters. The text is eminently readable with clearly-presented musical extracts.